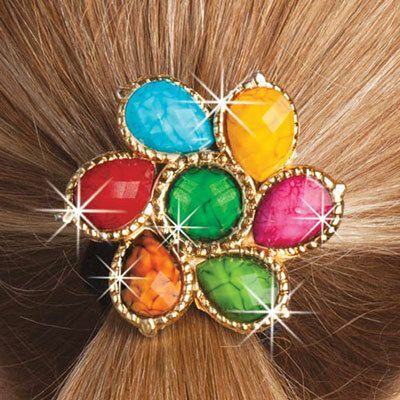 Add flair to your 'do with this stylish Colorful Medallion Scrunchie. Colorful, faceted faux gems form a circle supported by a gold-tone frame on a black velour elastic band on our medallion scrunchie. Imported. 2¼" dia. ALMOST SOLD OUT!